Whether you are a creditor trying to figure out a way to get former homeowners out of the foreclosed upon property or a landlord wanting to remove bad tenants from your rental unit, you may be wondering how you can get the stubborn tenants off of your property in a way that is compliant with the law. Landlords typically go the eviction route, but what do lenders do when the stubborn residents are not mere tenants, but former borrowers? Fortunately, Alabama provides three ways for landlords and tenants alike to remove a person from their property without much hassle or headache. Eviction: Eviction is applicable when there is a landlord/tenant lease agreement in place. 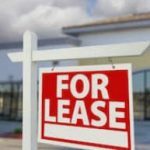 Unfortunately for the landlord, the tenant has the right to remain on the premises unless the lease is up and the tenant and landlord did not agree to renew it, and/or unless the tenant has violated the terms of the lease. The most common violation is failure to pay rent, but may also include a number of other violations, such as having a pet on the property despite a written agreement forbidding pets. If a landlord opts to evict a tenant instead of ejecting him or her, he or she must give the tenant a chance to remedy the issue for which the landlord wants to evict him or her. A lender cannot evict a prior homeowner for refusing to leave a foreclosed property. Ejectment: An ejectment applies in situations where the person residing on the property does not have a lease agreement with the owner to be on the property. 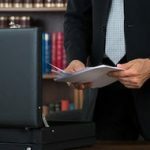 An ejectment action typically arises when the person living on the premises believes that he or she has the right to be there, such as in foreclosure cases. The homeowner feels that because he or she once owned the property, and/or because he or she invested a significant amount of money in the property, he or she is still entitled to reside in it. Ejectment actions need to be filed in the Circuit Court and typically take much longer to resolve than evictions or unlawful detainers/forcible entry. Unlawful Detainer/Forcible Entry: This last cause of action arises when the owner of a property wants to remove a person who was invited onto the property and/or granted permission to live on the property for an indefinite period of time but who has overstayed his or her welcome. Unlawful detainer cases typically arise when a child refuses to leave his or her parent’s house after turning 18 and being asked to move out. Alternatively, unlawful detainer cases may arise when a guest is invited to stay on the property by the homeowner but, when asked to leave, refuses to do so. Forcible entry cases, on the other hand, arise when a person resides on another’s property despite lack of an invitation. These usually occur when a squatter has taken up residence on a foreclosed property. At Cloud Willis & Ellis, we help property owners exercise their rights on a daily basis. If someone is living on your property without your consent, or if you wish to remove somebody from your property in a legal manner, contact our real estate attorneys today. The Sheriff’s Office recently evicted a group of squatters from a home in Southwest Huntsville, reports ABC WAAY 31. Squatters, or people who unlawfully occupy land, are fairly common in Alabama, especially in neighborhoods where foreclosures have left many homes vacant. Landlords in Alabama have the right to evict squatters unless a squatter has acquired the property via “adverse possession”. When you think of a squatter you may picture a homeless person who sneaks into an abandoned house at night in order to have a place to sleep. While some squatters do sneak in and out of the house that they are occupying, others openly move into the home and pretend that they are legally living there. These squatters often put utilities in their own name, have mail delivered, and prepare false documents indicating that they are rightfully in possession of the home. As a landlord in Alabama it is important to know that squatters who openly occupy your property may actually be able to acquire ownership of your land if they adversely possess the property for a specified amount of time and meet various other requirements. Hostile: The squatter’s possession of the property must be hostile, meaning that they must occupy the land without the owner’s permission. Actual: The squatter must have actual possession of the property. Exclusive: The property must be in the squatter’s exclusive possession. Open and Notorious: The squatter must publicly occupy the property and not hide his or her occupancy. Continuous for the Statutory Period: Generally, the squatter must have been in possession of the property for at least 10 continuous years, pay taxes on the land, and have color of title. However, this requirement can also be satisfied if the squatter did not pay taxes or have color of title but did occupy the land for 20 years or more. The notion of adverse possession is a very old legal concept that stems from the belief that land should be used and that if someone else can make use of land that an owner has left unattended then the new possessor should have legal rights to the land. For example, if Tom owns a 50 acre tract of land with a hunting cabin on it in rural Alabama that he has not visited for decades, Susan can likely acquire the property via adverse possession if she openly moves into the cabin without the owner’s permission, lives there continuously for 20 years, and has exclusive possession of the property. How Can a Landlord Stop Adverse Possession? Stopping adverse possession in Alabama is easy, the landowner must simply enforce their rights as a property owner. A landowner can do this by evicting squatters who have taken up residence on their land, or by reclassifying them as tenants (so that their possession is no longer hostile). Therefore, it is very important that landlords inspect their property regularly and consult with a competent eviction attorney if they discover squatters living illegally on their property. If you are a landowner in Alabama and are concerned about losing your property rights to squatters, contact the experienced eviction attorneys at Cloud Willis & Ellis, LLC today. Our lawyers would be happy to discuss your legal options with you during a consultation at our offices in either Birmingham (205-322-6060) or Mobile (251-545-4844). When a landlord wants to remove a tenant from their property they must evict the tenant. Evictions are generally time consuming and expensive for both the landlord and the tenant involved. In order to legally evict a tenant the landlord must strictly comply with all applicable eviction laws. This can be more challenging than it sounds as there are often multiple sources of eviction law that govern a particular landlord-tenant relationship. The Legal Information Institute notes that there are six basic sources of eviction law: local law, state law, federal law, the lease governing the tenancy, the common law, and court rules. 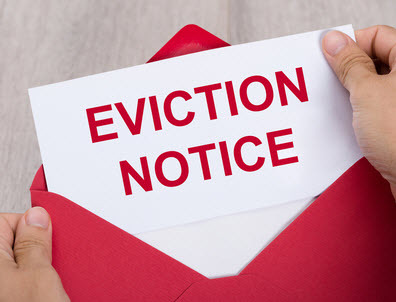 As the eviction process can be complicated, and strictly complying with evictions laws helps ensure that the landlord is legally protected, it is a good idea to consult with an experienced evictions attorney before initiating the eviction process. Late Rent: The most common lawful reason for evicting a tenant is that they have failed to pay their rent on time. Non-Trivial Violations of the Lease: A landlord can legally evict a tenant after discovering that the tenant has violated some non-trivial provision of the lease. For example, if a rental agreement states that the tenant is not allowed to have pets on the premises then the tenant can be legally evicted if they live with their pet cat. Illegal Use of the Property: If a tenant uses the rental property for an illegal purpose then the landlord is within his or her rights to evict the tenant. 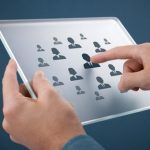 For example, this may include using a rental unit to grow marijuana or opening up a business in a rental house that is not zoned for commercial use. No Longer Renting: Landlords who no longer wish to rent their property are often allowed to legally evict a tenant if the landlord decides to move into the home or wants to have an immediate family member move in. Rehabilitation, Demolition, or Sale of the Property: A landlord also has the right to evict a tenant if he or she wishes to substantially rehabilitate the rental unit, demolish the home, or sell the property. In Alabama, it is illegal for a landlord to evict a tenant as a form of retaliation. For example, it is illegal to evict someone for reporting a housing code violation, joining a tenant organization, or suing the landlord for discriminatory renting practices. Be warned that in an Alabama court it is the landlord’s responsibility to prove that the eviction was not initiated as a retaliatory practice. Additionally, it is also illegal for a landlord to evict a tenant based on a term that was “added” to the rental agreement without the tenant agreeing to the term in writing. 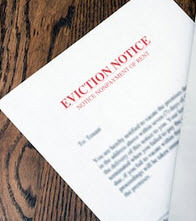 If you are a landlord in Alabama and would like to evict a tenant, contact the experienced eviction attorneys at Cloud Willis & Ellis, LLC today. Our lawyers can help reduce your financial risk by ensuring that Alabama’s eviction laws are followed during every step of the eviction process.